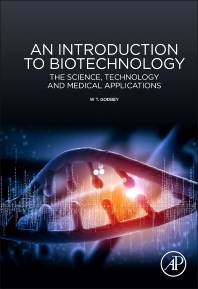 An Introduction to Biotechnology is a biotechnology textbook aimed at undergraduates. It covers the basics of cell biology, biochemistry and molecular biology, and introduces laboratory techniques specific to the technologies addressed in the book; it addresses specific biotechnologies at both the theoretical and application levels. 3.4 Lysosomes Are for Degradation, But Are They Safe? W. T. Godbey is the Paul H. and Donna D. Assistant Professor in the Department of Chemical and Bimolecular Engineering at Tulane University. He received his B.S. in Mathematics from Southern Methodist University in 1988. After a successful period that involved starting his own software design and development company in Dallas, Texas, he joined the fields of science and engineering and earned his PhD as a National Science Foundation Graduate Fellow from the Institute for Biosciences and Bioengineering at Rice University in 2000. From 2000-2003 he was a postdoctoral fellow at Childrens Hospital, Boston and Harvard Medical School. He joined the Tulane University faculty in 2003.